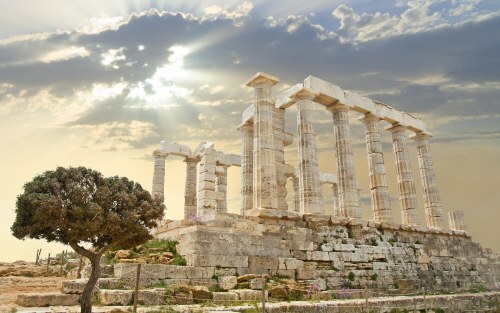 Air Transat has dropped the price of one seat in June from Toronto to Athens, Greece down to $598 CAD roundtrip including taxes. When you search for 1 passenger, the flight price shows up as $598 CAD roundtrip including taxes. When you search for 2 passengers, the flight price increases to $614 CAD roundtrip including taxes. Update @ 10:36 PM EST - It looks like these are all gone now. There are also some other dates available for $598 CAD roundtrip including taxes, where the flight has nearly a full day layover in Montreal on the way to Greece (20 hours). The flight home from Athens, Greece to Toronto is still non-stop. There are also dates in late September and October 2017 for $567 CAD roundtrip including taxes. Some of these dates are non-stop both ways. Other dates are non-stop from Toronto to Athens, but have a 4 hour layover in Montreal on the way home. These dates appear to be working for 2 passengers. toronto, yyz, flight deals, europe, air transat, southern europe, athens, greece, ath, balkans and southeastern europe. 2 Responses to "Toronto to Athens, Greece - $567 to $598 CAD roundtrip including taxes | non-stop flights in June and late September"
Is this deal gone? I tried to replicate it and wasn't able to get this price. This one is sold out, it was posted a week ago. Try signing up for the alerts to get notified when the deals are released.